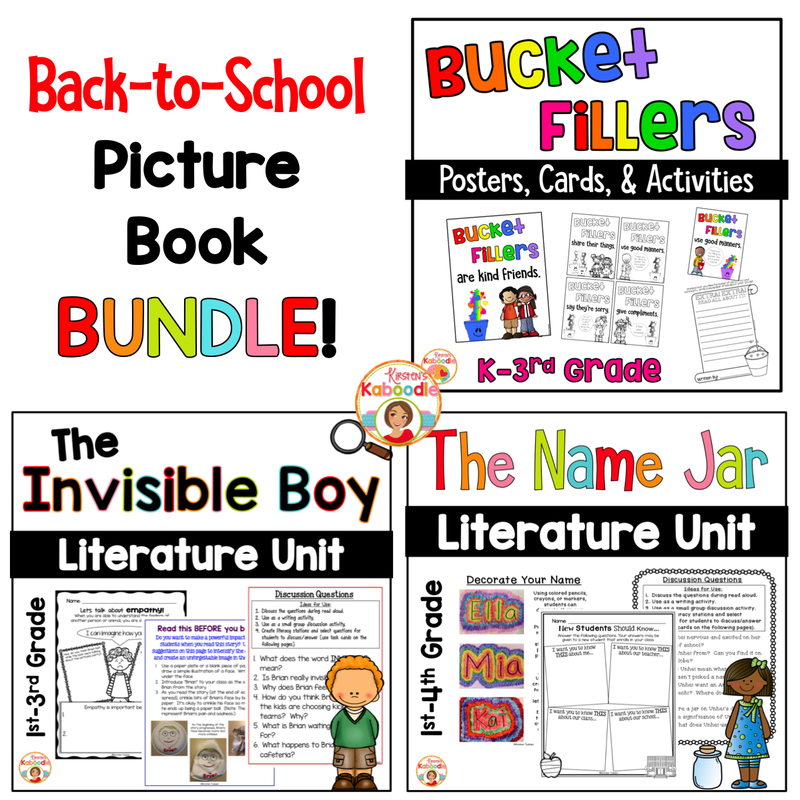 The Invisible Boy, The Name Jar, and the Bucket Fillers Picture Books are included in this bundle. This book bundle is perfect for the beginning of the school year as you are establishing the classroom climate and behavior expectations for 1st, 2nd, and 3rd grade. 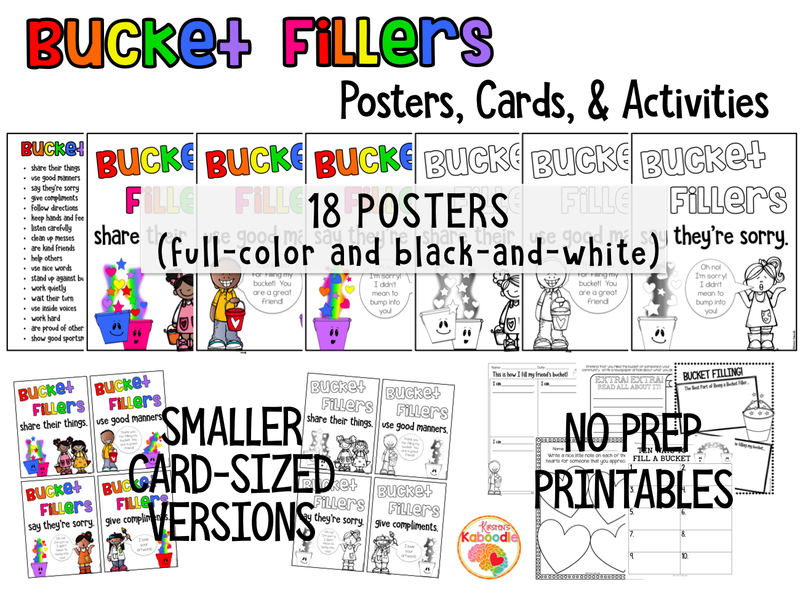 This product incorporates the concept of bucket filling and makes it an easy to grasp concept with 18 full-color posters (also in black and white), Bucket Filler certificates (also in black and white), and 5 bucket filler printables that require NO PREP. The full color posters are PERFECT for a back to school or behavior expectation bulletin board! 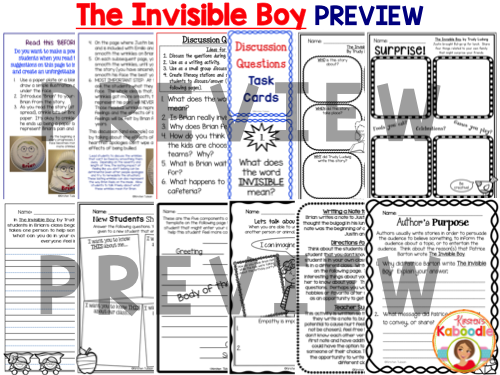 The Invisible Boy by Trudy Ludwig, is a sweet story about a boy who feels invisible. 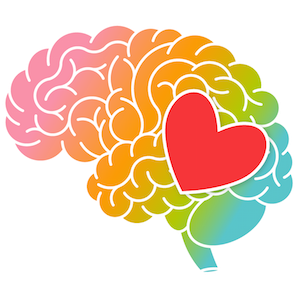 With the help of a new student and his own courage, he develops friendships and connections with his classmates. 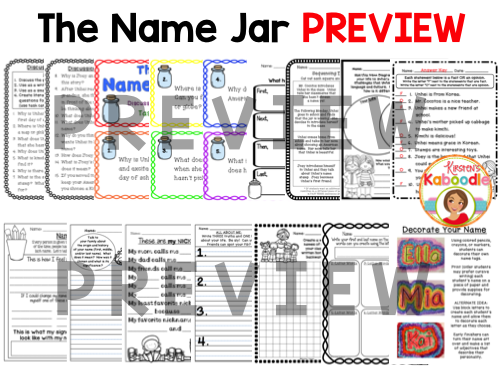 This back to school literature unit is Common Core aligned and includes the following concepts and activities: read aloud activity and discussion questions (also printed on task cards to create an option for a writing center or small group work), who/what/when/where/why, vocabulary (an answer key is included for the vocabulary), brainstorming on a web, various writing exercises/prompts, letter writing, an exercise in empathy, and author’s purpose. This file contains 104 pages.